Music. Power. Jealousy. 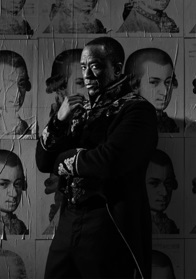 Lucian Msamati (Luther, Game of Thrones, NT Live: The Comedy of Errors) plays Salieri in Peter Shaffer’s iconic play, broadcast live from the National Theatre, and with live orchestral accompaniment by Southbank Sinfonia. Wolfgang Amadeus Mozart, a rowdy young prodigy, arrives in Vienna, the music capital of the world – and he’s determined to make a splash. Awestruck by his genius, court composer Antonio Salieri has the power to promote his talent or destroy his name. Seized by obsessive jealousy he begins a war with Mozart, with music, and ultimately, with God. After winning multiple Olivier and Tony Awards when it had its premiere at the National Theatre in 1979, Amadeus was adapted into an Academy Award-winning film.